GHD Natural Bristle Brush Size 2. 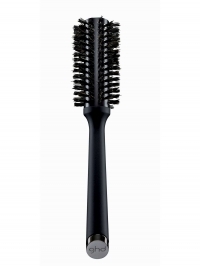 GHDs Natural Bristle Brush is a daily essential with versatile results. 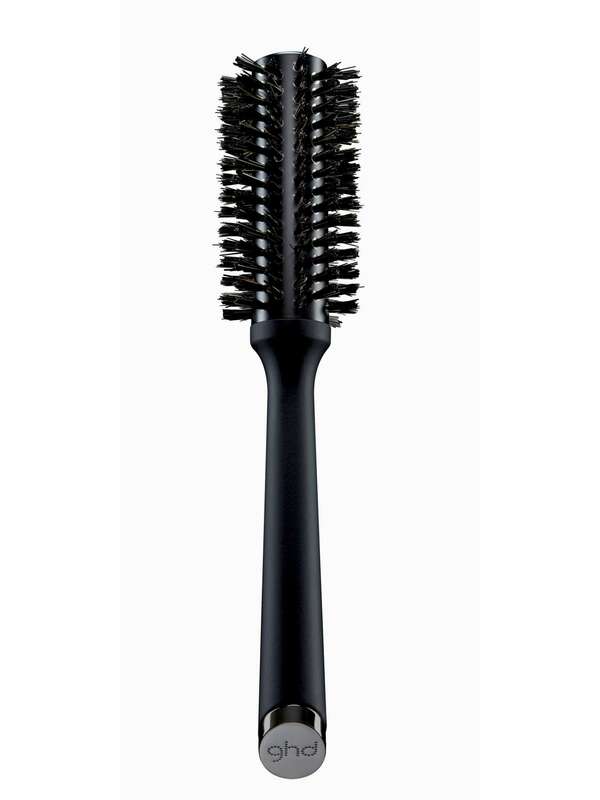 This size 2 brush can product full bodied or smooth finishes, and works perfectly on short to mid-length hair. Natural bristles help to create a salon-smooth finish. Blast hair until its 80% dry. Working with small to medium sections, place the brush into the root area and direct the heat from your dryer at the barrel. Keep the tension as you move the brush through your hair, directing heat at the barrel as you go. Give a bob or midi a rounded or kicked-out finish by concentrating on the ends. Once you have blow-dried, wrap your ends only around the brush and use your dryer on a hot heat setting followed by the cool shot. Turn your ends in for a rounded finish and away for a kicked-out finish.